The International Criminal Court’s acceptance of Palestine as a state party is the latest example of a noble institution hijacked into serving political ends. Headlines published on April Fools’ Day are often reserved for pranks, hoaxes, and fake news stories. Yet the many headlines that stated something like, “The State of Palestine formally joins the International Criminal Court, launching investigations into Israel’s War Crimes,” were no laughing matter. The State of Palestine is now officially listed as a state party to the Rome Statute and the International Criminal Court. So hold the laughter, this is no joke. Beyond being an accomplished reality, Palestine’s accession to the ICC is being hailed by some as a triumphal step on the path to the universalization of human rights norms and the Rome Statute, which established the court itself. Yet this latest bid by the Palestinian Authority to circumvent negotiations with Israel should give champions of human rights no cause for celebration, for it places more than the Jewish state’s international standing in jeopardy. As all of the Palestinians’ political bids have done in the past, this move only serves to weaken the legitimacy of the ICC and the international legal system. The latest attempt by the Palestinian Authority to accede to the ICC began with Jordan’s submission to the United Nations Security Council of a draft resolution for Palestinian statehood. The resolution would have forced Israel to undertake a “full and phased withdrawal” of the IDF from the West Bank by the end of 2017, creating a Palestinian state with East Jerusalem as its capital. Unable to garner the requisite majority, the resolution failed to pass even without the United States exercising its veto power. But the PA remained undeterred. Mahmoud Abbas immediately vowed to resubmit the statehood bid to the Security Council, relying not on the resolution’s grounding in international law, but the increased sympathy for the Palestinian cause on the part of the Council’s newer member states. The PA’s goal is to weaken Israel internationally and force it to make concessions without a Palestinian quid pro quo. The PA also sought alternative recourse through the International Criminal Court, long considered to be the Palestinians’ “doomsday measure.” On January 2, 2015, Abbas submitted the “State of Palestine’s” instruments of accession to the Rome Statute of the International Criminal Court, and to the Agreement on the Privileges and Immunities of the International Criminal Court. Palestine’s accession was heartily welcome by the Court’s president, Justice Sidiki Kaba, as a positive additional step in the “progress towards [the Statute’s] universality,” using the occasion to call on all UN member states to follow suit and “join this permanent and independent system of international justice…based on the principle of complementarity with domestic jurisdiction.” Palestine’s accession finally went into effect on April 1, 2015. The Palestinian Authority’s foreign minister, Riyad al-Maliki, characterized Palestine’s accession to the Rome Statute as bringing “the world…a step closer to ending a long era of impunity and injustice. Indeed, today brings us closer to our shared goals of justice and peace.” Eloquent words aside, it is not international justice that will be served by Palestine’s membership in the ICC. 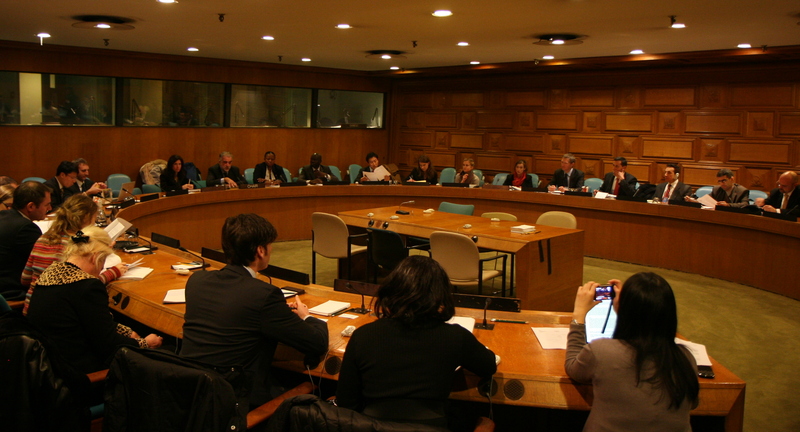 Instead, in line with other efforts by the Palestinian leadership and those around the globe who claim to champion the Palestinian cause—which have largely succeeded in twisting the requirements of the Laws of Armed Conflict to suit their political ends—the Rome Statute will be transformed from an instrument of international justice into another weapon with which to attack Israel’s international legitimacy. These moves are not aimed at the attainment of a genuine, lasting peace or a two-state solution. Their goal is to weaken Israel internationally and force it to make concessions without a Palestinian quid pro quo. After all, President Mahmoud Abbas and the PA have been presented with several opportunities to achieve genuine peace through bilateral negotiations. The late Prime Minister Ariel Sharon, former Prime Minister Ehud Olmert, and even current Prime Minister Benjamin Netanyahu all made far-reaching concessions of one form or another that President Abbas summarily rejected. If his goal were peace, and not forcing Israel to relinquish territory without any reciprocal Palestinian moves, he would have accepted these terms. And so, the Palestinians have joined the ICC, signaling their recognition of “the jurisdiction of the Court for the purpose of identifying, prosecuting and judging authors and accomplices of crimes within the jurisdiction of the Court committed in the occupied Palestinian territory, including East Jerusalem, since June 13, 2014.” Though reports emerged in some Israeli media outlets that the PA would not be pursuing prosecutions of Israelis at the ICC in exchange for tax money held by Israel, the Palestinians have strongly denied these reports. Xavier Abu Eid, a spokesman for the PLO, called the reports “a huge lie. Taxes have nothing to do with our ICC approach. The ICC train already departed.” Indeed it has. Chief Prosecutor Fatou Bensouda has now declared the opening of a “preliminary examination of the situation in Palestine” in order to determine whether the court should proceed to prosecute Israelis. The PA’s complaints concentrate on Israel’s actions during Operation Protective Edge and its settlement activities in the West Bank. While no ICC investigations of Israeli officials have been launched, Palestinians have expressed their confidence that, “considering all the attention [given] to Palestine” at the ICC, it would happen sooner rather than later. But the truth is that supposed Israeli misconduct is not the reason for the ICC’s willingness to allow a “state of Palestine” to accede to the court. The real reason is political: The Palestinian cause is a popular one, and the world wants to see a Palestinian state emerge. The Rome Statute only allows accession by nation-states, yet the Palestinian Authority has been admitted as a member state despite not yet achieving statehood. That recognition is not premised on political whims, as was the case at the General Assembly, but on an entity claiming independence possessing the various attributes of statehood, which, according to Epps and Graham, consist of four requirements: “A defined territory, a permanent population, a government, and the capacity to enter into relations with other states.” First and foremost, a proposed Palestinian state lacks a well-defined boundary accepted by other states, as the advisory opinion by the International Court of Justice (ICJ) on the “Legal Consequences of the Construction of a Wall in the Occupied Palestinian Territories,” and even the General Assembly resolution, admit. The so-called “borders of June 5, 1967” that are touted as the sacrosanct boundaries of a future Palestine are nothing of the sort. The “Green Line” that defines this territory was never intended to be a border. It was an armistice line drawn at the arbitrary points where the Israel Defense Forces and the Arab armies ceased fighting on January 7, 1949. The armistice agreements between the parties made clear that these were to be the starting points of final negotiations on territorial boundaries, not international borders between Israel and its Arab neighbors, and definitely not a Palestinian state, which was not even contemplated at the time. In fact, according to Stephen M. Schwebel, a former ICJ judge, substantial modifications to the Green Line were contemplated, whether they were “‘insubstantial alterations required for mutual security’ or more substantial alterations—such as recognition of Israeli sovereignty over the whole of Jerusalem.” Schwebel added in a footnote that “the armistice agreements of 1949 expressly preserved the territorial claims of all parties and did not purport to establish definite boundaries between them.” As such, reliance on the Green Line for Palestine’s borders is a non-starter, and the PA lacks the first indicator of statehood. Hamas’ takeover of the Gaza Strip in 2007 also places a future Palestine’s “permanent population” in dispute. Despite the ostensible reconciliation between Hamas and Fatah in 2014, the Palestinian Authority has virtually no control over Gaza, and if a Palestinian state arose today, its jurisdiction would not extend over Gaza’s population. The uncertainty over control of Gaza means that a future state of Palestine does not have a definite or permanent population. Palestine also does not have a government that “is largely independent from outside authority,” as Epps and Graham put it. They note that if “aspects of a state’s foreign, defense, monetary, or domestic policy are governed by another state,” recognition might not be forthcoming from the international community. The recent political storm over Israel withholding Palestinian tax revenues amply demonstrates that situation. Moreover, per the Oslo Accords, while the Palestinian Authority would have internal civilian and military control over Area A of the West Bank, Area B remains under Israeli military control, and Palestinian jurisdiction does not extend to Area C. Foreign threats and defense are handled exclusively by Israel in regard to the entire West Bank. However, even if Palestine were deemed to have met all the requirements of international law and achieved statehood, its attempts to initiate prosecutions against Israeli leaders would be no less politicized and no more legally justified. There are two main issues that the Palestinian Authority is pressing the ICC to investigate and prosecute: Israeli settlement activity and alleged war crimes carried out by the Israeli government and the IDF during Operation Protective Edge. Regarding Israel’s settlement activity in the West Bank, the Sec. 8(2)(b)(viii) of the Rome Statute defines “The transfer, directly or indirectly, by the Occupying Power of parts of its own civilian population into the territory it occupies, or the deportation or transfer of all or parts of the population of the occupied territory within or outside this territory” as a war crime. The NGO Human Rights Watch, as well as the Palestinians themselves, claims that this includes the Israeli government’s “facilitation of the transfer of its citizens into settlements in the West Bank, including East Jerusalem.” Without entering into the complexities of Israel’s territorial rights in the West Bank and Jerusalem under international law, it is important to note that this section of the Rome Statute changed the standards of the Geneva Conventions and customary international law under pressure from Arab governments, specifically in order to target Israel and force the issue of Israeli settlements to the fore, thus circumventing bilateral negotiations. Article 8 of the Rome Statute contains an elaborate definition of war crimes, taken mainly from the Geneva Conventions and related treaties. Due to lobbying by the Arab states, this provision, which corresponds to IV Geneva Convention’s Art. 49(6), was tampered with to prohibit “directly or indirectly deporting or transferring,” as opposed to “deporting or transferring.” Northwestern University law professor Eugene Kontorovich noted in The Washington Post that this “quite significant” change is without precedent in international law, and was “generally understood as seeking to go beyond the Geneva Conventions to encompass the self-motivated migration of Israelis” into Judea, Samaria and Gaza, twisting a negative prohibition on “transfer” into a new positive obligation to actively prevent nationals from migrating into a territory under their government’s control. Suffice it to say, Art. 49(6)’s language does not constitute a blanket prohibition on settlement activity as it is carried out in the Israeli context, since it does not prohibit any and all transfers of the occupying power’s civilian population. The point is stressed by the first paragraph of Art. 49, which prohibits “individual or mass forcible transfers” (emphasis mine). Even if the PA is successful in starting ICC investigations into Israeli activities, a fair assessment of relevant laws would be unlikely to show that Israel has committed war crimes. Regarding the legality of voluntary movements by an occupying power’s civilian population, the international law scholar Julius Stone stated that “the word ‘transfer’ [in 49(6)] in itself implies that the movement is not voluntary on the part of the persons concerned, but a magisterial act of the state concerned.” Stone based this interpretation on basic rules of grammar and construction, namely that when similar language is used in several different paragraphs of the same provision, modifying language is omitted in later paragraphs because the modifier is already understood, hence the applicability of the word “forcible” from Art.49(1) to the language in Art. 49(6) despite its absence from that paragraph. Thus, according to David M. Phillips, professor of international law at Northeastern University’s School of Law, the settlements would only be illegal if their inhabitants had been forcibly transferred to the West Bank by Israel. The reality has been quite different. Israelis have moved into the West Bank entirely of their own volition, sometimes in opposition to the wishes of the Israeli government. The next issue is whether Israel’s actions as a matter of policy or regarding the actions of individual soldiers or commanders constitute war crimes and, if so, whether the ICC’s jurisdiction should be given precedence over that of Israel. The matter of civilian deaths occurring in the course of combat, and the analyses under the laws of armed conflict regarding whether a civilian death is indeed a war crime, are complex issues. However, it is safe to say that Israel’s Purity of Arms doctrine and exacting urban warfare standards negate the possibility that Israel sought to harm Gaza’s civilian population as a matter of policy. But if Israel’s policy was to avoid civilian casualties, why were half of the Palestinian casualties in last summer’s war civilians? The answer lies in the actions of Palestinian armed groups themselves. Human Rights Watch, despite its claims of documenting unlawful Israeli attacks during Operation Protective Edge, “including some that may amount to war crimes,” was forced to admit that “Palestinian armed groups…deployed their forces without apparently taking all feasible precautions to prevent harm to civilians, in violation of international law.” This is a gross understatement. In fact, Hamas intentionally embedded itself in the civilian population of Gaza, using it as cover for indiscriminate attacks on Israeli civilians. Though Hamas’ war crimes emphatically did not eliminate or reduce Israel’s duty to practice “distinction”—i.e., to avoid intentionally targeting civilians—it does highlight the heightened difficulty under which Israeli forces had to operate, and explains the high number of civilian casualties. Assuming Israel complied with its undiminished duty to take all necessary precautions to minimize harm to civilians, this significantly raises the bar regarding whether Israeli actions constituted war crimes. It is entirely within the realm of possibility, however, that some Israeli soldiers strayed from the IDF’s exacting standards and committed actions that amount to war crimes. If so, would the Palestinian Authority be justified in bringing such cases to the ICC? In Israel’s case, the answer is emphatically no. And this is not because Israel deserves special treatment. It does not. The ICC’s jurisdiction would be inappropriate when it comes to Israel because of the court’s own principle of “complementarity,” which provides that certain cases will be inadmissible if they have been or are being investigated and prosecuted by a state with jurisdiction over the matter. In such circumstances, a case would only be admissible if the investigating or prosecuting state is unwilling or unable to genuinely carry out such an investigation or prosecution; for example, if a government adopted policies intended to shield the accused from criminal responsibility. That is emphatically not the case in Israel, which has already begun to investigate the actions of its soldiers in Gaza, obviating the need for ICC intervention. And these prosecutions are not a sham or cover from international jurisdiction. The Israeli government issued a preliminary report on the launch of these investigations, in which it detailed the mechanism by which the inquiries into possible war crimes would be carried out. It also noted the findings of the Turkel Commission, an independent public commission of inquiry mandated with assessing Israel’s mechanisms for examining and investigating alleged violations of the laws of armed conflict. The commission found that Israel generally complied with its obligations under international law and that Israel’s legal system ranks favorably with those of other democracies in terms of its independence, impartiality, effectiveness, thoroughness, and promptness. Beyond merely possessing the proper mechanisms and an impartial judicial system, Israel has shown itself more than willing to investigate the actions of its soldiers. As early as last September—two weeks after the end of Operation Protective Edge—Israel began its own investigation into five out of 99 incidents of possible military misconduct referred to army fact-finding teams. Israel even requested that the human rights NGO B’Tselem participate in the government’s investigations, a request that the group declined. Eight additional investigations were opened in December of 2014. In January 2015, Israel’s state comptroller announced the opening of investigations into decisions made by military and political leaders during Protective Edge. In February 2015, the IDF announced that it would indict several soldiers on charges of looting. In recent days, Israeli military prosecutors filed charges against three additional soldiers for thefts from Palestinians, and against others for aiding and abetting the crime. According to the court’s own standards, then, Israel’s investigations into the allegations of war-crimes committed by its troops obviate the need for the ICC’s involvement. Why, then, has the ICC begun preliminary investigations into Israel’s actions with the possibility of prosecutions to follow? As the Palestinians themselves have noted, it is because of the political popularity of the Palestinian cause. In effect, the PA seeks to improperly use international law as a tool to bring about the establishment of a Palestinian state with or without Israel’s consent. 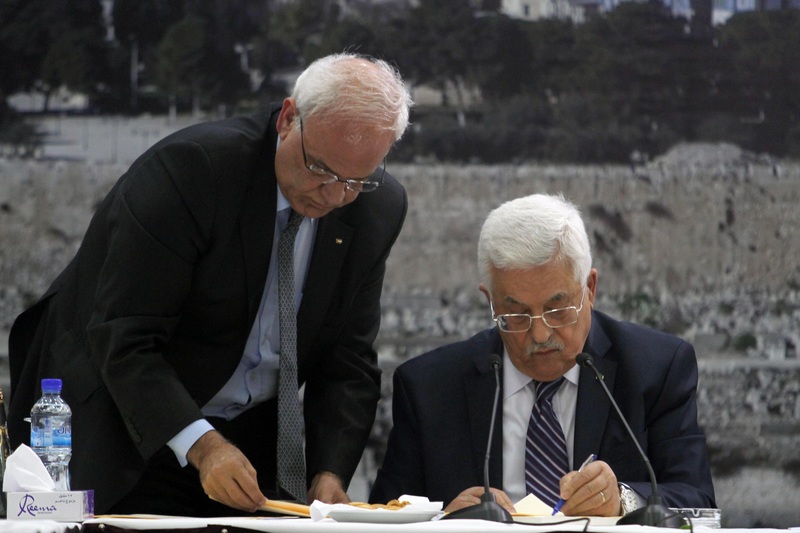 The Palestinian Authority has revealed its true intentions behind joining the ICC. Top PA official Nabil Sha’ath, for example, has said this was that ICC accession was intended to be part of a “continuous battle” against Israel, a comment which the PLO seconded, saying that it ICC accession was “a first step towards waging a total and continuous political and judicial battle” against Israel. Hamas, a member of the PA’s unity government, also welcomed Palestinian membership in the ICC, calling it the “first step by the international community to isolate” Israel, and called on all Palestinians to unite behind a clear strategy to “expose” and “isolate” the Jewish state, confronting it through “all forms of resistance,” of which the judicial process was just one. Indeed, the Palestinian Authority already appears all too willing to use the ICC as a weapon against Israel. In recent months, they threatened to seek an arrest warrant from the ICC against Israeli Foreign Minister Avigdor Liberman over inflammatory comments that he made, despite the fact that his comments did not amount to any war crime or call to a war crime under the Rome Statute or customary international law. Liberman’s comments did not arise to the level of incitement to genocide, as envisioned under Article 25(3)(e) of the Statute, which defines it as encouraging or persuading another to commit an offense by way of communication. For public speech to be considered incitement to genocide, it must be “direct,” in other words, understood by both the speaker and the listener to be a call to action. In this case, the Palestinian Authority wanted to threaten Israel with prosecution over mere rhetoric. The PA seeks to improperly use international law as a tool to bring about the establishment of a Palestinian state with or without Israel’s consent. The Commission’s successor body, the UN Human Rights Council, suffers from these same “shortcomings.” In early March, U.S. Secretary of State John Kerry took the floor when the 28th UNHRC session opened in Geneva to address “the HRC’s obsession with Israel” to the exclusion of countries committing genuine human rights abuses. He noted that this “risks undermining the credibility of the entire organization. It has the potential to limit the good we have to do.” Kerry’s advice went unheeded, and mere days after the UN Commission on the Status of Women’s 59th Session ended with a report that was highly critical of Israel, the United States once again entered the breach. Keith Harper, the U.S. Ambassador to the UNHRC, noted American disappointment “that this council continually singles out Israel for criticism without acknowledging the violent attacks directed at its people, nor the obligations and difficult steps required of both sides. In short such singling out undermines the credibility of the council.” The World Conference on Racism similarly lost its legitimacy after delegates at the 2001 Conference, held in Durban, South Africa, insisted on including language that reduced the complex reasons for Israel’s security policies in the West Bank and Gaza to “racism.” Partially as a result, the Durban Review conference of 2009 was boycotted by Australia, Canada, Germany, Italy, the Netherlands, New Zealand, and the United States, while 23 other European Union countries sent only low-level delegations. The lows to which such a body had sunk was embodied in the London Declaration on Combating Anti-Semitism’s rebuke of the 2001 conference, resolving that “never again” should the “institutions of the international community… e abused to try to establish any legitimacy for anti-Semitism, including the singling out of Israel for discriminatory treatment in the international arena,” noting the resolve of the participating countries to “never witness—or be party to—another gathering” like Durban. 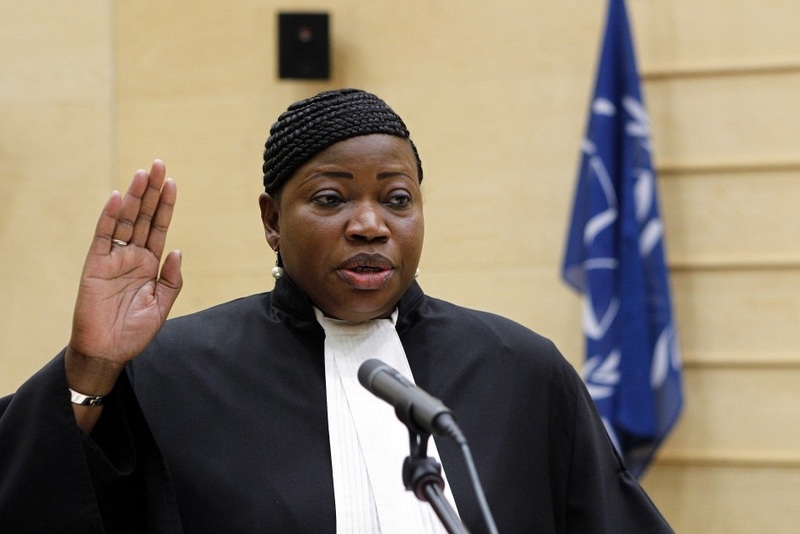 The ICC itself has not been immune from doubts about its impartiality. In 2002, the United States withdrew from the ICC out of fear that the body would be used as a political weapon against its soldiers and diplomats, and that it would undermine American judicial authority. According to senior U.S. diplomat Pierre-Richard Prosper, this “unsigning” freed the United States from its obligations under the treaty, including the extradition of individuals wanted by the court. This made the ICC a far less powerful and effective player on the world stage than it would have been with US support. To date, President Obama has not reversed his predecessor’s decision. Israel also withdrew from the court, further undermining the body’s legitimacy and the quest for the Rome Statute’s universal application. 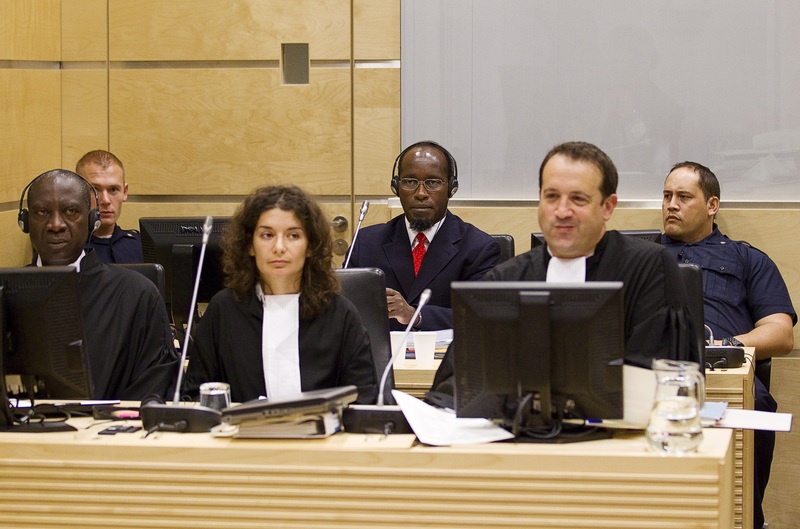 Though Israel welcomed the ICC’s establishment as a “significant development in international law” and was an early supporter of the establishment of such a body, its Ministry of Foreign Affairs raised multiple concerns over how effectively the noble aspirations of the court could “be achieved through the court as it has been constituted.” Israel’s major concern was “that the court will be subjected to political pressures and its impartiality will be compromised.…The court could only be effective if it remains scrupulously impartial. Regrettably, there are already some troubling indications that this impartiality may be compromised.” Given the ICC’s decision to allow the Palestinians to accede to the court despite the fact that the PA is not a state, and despite Palestinian officials’ declared intention of using the court as a weapon in their “battle” with Israel, the Jewish state’s misgivings may well prove justified. That a Palestinian state must be established is not in question. The Palestinians are a people, and like others are entitled to their right to self-determination. The accession of a future State of Palestine to bodies that enforce international law and attempt to universalize human rights norms should also be welcomed, but only if it is done for the right reasons. When motivated by a desire to exploit these noble concepts and the laws that embody them as political weapons, even if it is to achieve a desirable political outcome, there is grave reason to worry. And it seems all but certain that the Palestinians’ accession to the ICC will undermine the objectivity and thus the credibility of the court, hindering its quest for universality. Moreover, even the goal which this move aims to achieve will fail. A two-state solution cannot be imposed. Such a solution must be just that: A long overdue end to the seemingly interminable Israeli-Palestinian conflict; not an imposed fait accompli that will leave unanswered and unsolved all of the questions that have perplexed negotiators on both sides for decades; and not as a springboard for irredentist claims to rear their head in the near or far future. 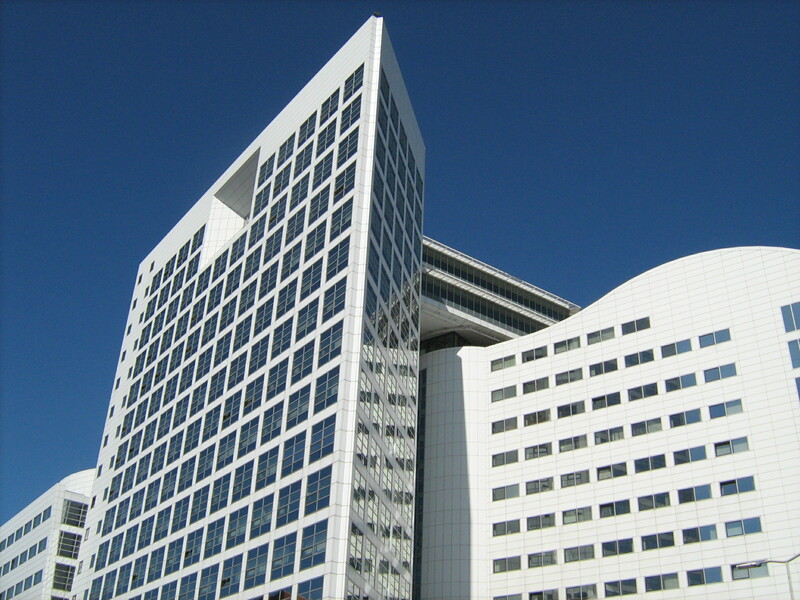 The Palestinian accession to the ICC is not a step toward peace, but a step back from it. And, as Moynihan put it 40 years ago, it may well cause “serious, grave, and perhaps irreparable harm” to the cause of human rights.